hello what is the base diameter? 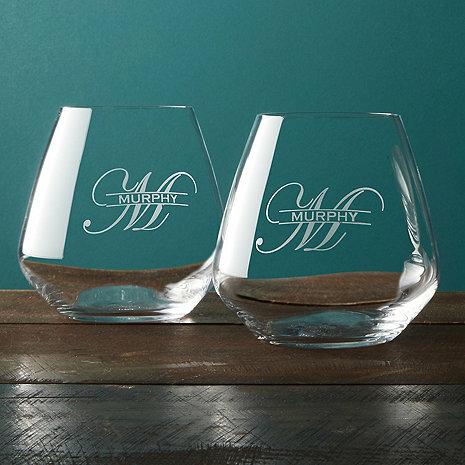 BEST ANSWER: The Personalized Wine Tumblers (Set of 2) base is 2 1/4 inches wide and 4 1/4 inches wide at the widest part of the glass. the actual base is 2.5", and the widest part is 4". We love them- and they look even better when they are not empty! Does this come in a gift box? BEST ANSWER: The Personalized Wine Tumblers (Set of 2) do not come in a gift box but our packaging is high quality, well designed and visually appealing. What if my name has 12 characters, can you accommodate? Perfect for the wedding I will by attending! It goes well with the lazy Susan! They were a wedding gift. I thought they were nice. These were a gift. Haven't heard if they like them or not, but the last couple I gave the same item to loved them!